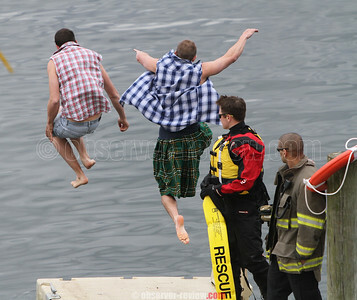 (4/30/16)--The Anchor Inn and Marina Tiki Bar on Seneca Lake hosted the 13th annual polar bear plunge, Saturday, April 30 and Sunday, May 1. Saturday featured the adult jumpers, while Sunday was reserved for families. Those that jumped competed in a fun competition for best jump, splash and costume awards. The water temperature was 46 degrees.